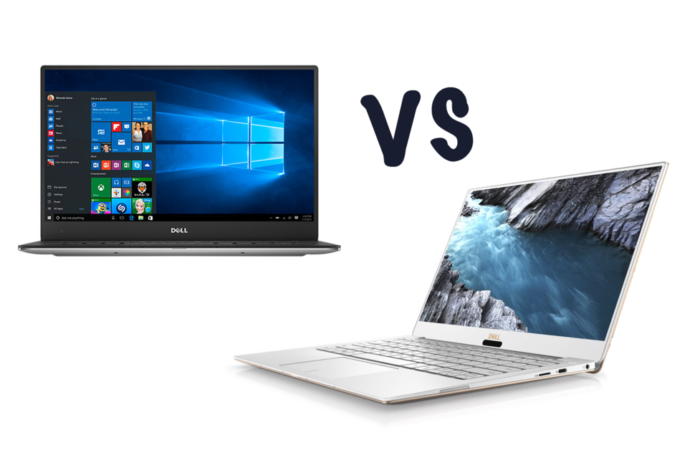 New Dell XPS 13 (2018) vs XPS 13 (2017): What’s the difference? Dell’s XPS 13 has been one of the best ultraportable laptops since it was first launched back in early 2012. It was part of Intel’s initial push into what it decided to call “ultrabooks”. 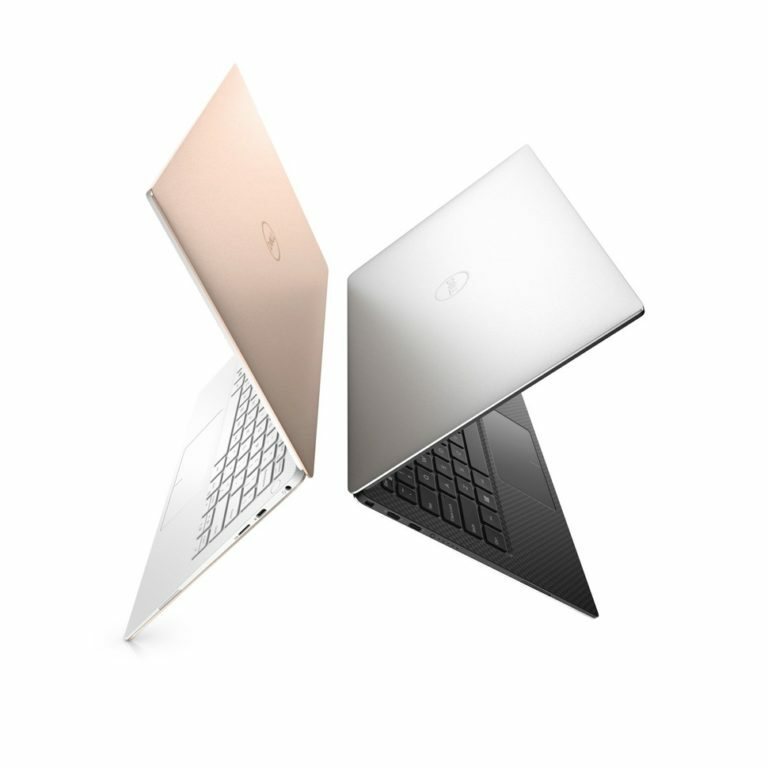 Now there is a 2018 model, the Dell XPS 13 (9370), which features new design tweaks, changed ports and a new colour option. It is available with Microsoft Windows 10 Home or 10 Pro as well as Ubuntu. We take a look, therefore, at what exactly has changed year-on-year; comparing the new version with last year’s. Dell’s big sell with the XPS 13 has always been the small footprint. This time it has shaved a further 3.4mm off the thickness, so whereas last year the thickness was between 9-15mm, this time it is 7.8 -11.6mm. The weight is around the same at 1.2kg. This year’s design is otherwise very similar to the previous model, but there are new colour options – rose gold and white – to go alongside the now-traditional silver and black. 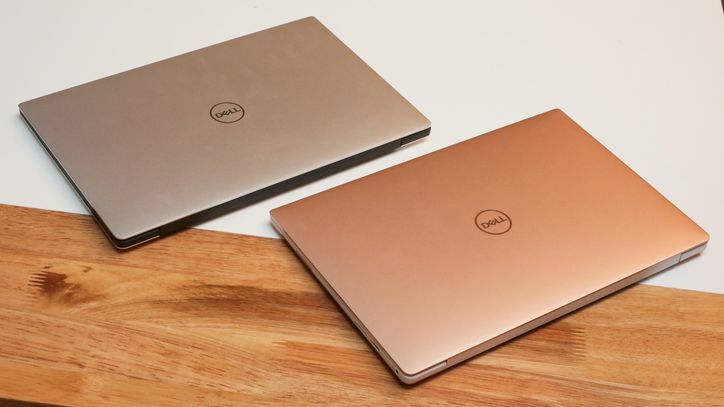 Dell uses carbon fibre on the silver and black models, but it has had to develop a new woven glass process to manufacture a new white palm rest around the keyboard on the rose gold model. Dell assures us that it has a stain-resistant coating to prevent yellowing or discolouring over time. We shall see. 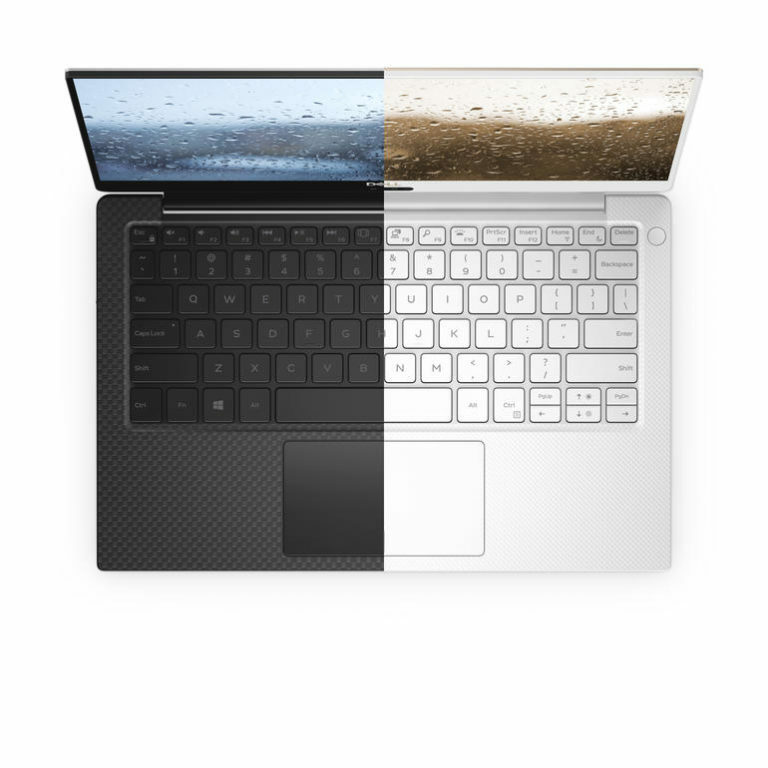 Dell says the new XPS 13 also utilises GORE Thermal Insulation, essentially a material used in science and engineering to dissipate heat out of the device. It’s previously been used in insulation on the Mars Rover vehicle! There is a design change with the webcam, which has been re-sited from the bottom corner of the screen to the centre. It’s still not ideal in terms of placement as it’s simply not high enough, but is an improvement. This year’s model does feature an upgrade to the 13.3-inch model, with an UltraSharp 4K Ultra HD (3840 x 2160) InfinityEdge touch display supplanting the QHD+ (3200 x 1800) version in the older model. There’s also a 1500:1 contrast ratio instead of the last model’s 1000:1 contrast ratio. As before, a Full HD, non-touch display variant is also available. There’s also an anti-reflective coating to reduce glare. Dell has been offering the existing XPS 13 (9360) with the latest 8th Generation Intel processors already (a refresh of the previous 7th Gen processors) and that model will remain on sale for the foreseeable future. The new model features the same processors as the previous model alongside Intel UHD 620 graphics. So, you’ll either get the Intel Core i5-8250U up to 3.4GHz or the Core i7-8550U up to 4GHz – both quad-core units. 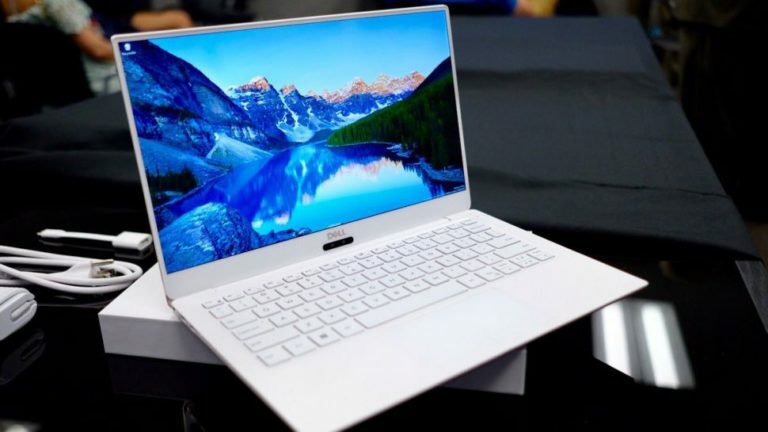 Dell is claiming that the XPS 13 is the most powerful 13-inch laptop “in its class” and, while we need to test it, clearly the latest Intel chips should help it power through most tasks and score well compared to competitors in key benchmarks. We’ll test it in due course, naturally. Dell is promising almost 20 hours of battery life with the Full HD version, or up to 11 hours for the Ultra HD model. The last model achieved around 11-12 hours (7th generation Core i7) so expect roughly comparable battery life generation-on-generation. One of the most interesting things about the new XPS 13 is that it goes all-out for USB-C, with three ports in total. Whereas older models still retained a USB-A port, the 2018 variants eschew it. Two of the USB-C ports are Thunderbolt 3 for connection to the latest docks and storage devices, while the third is a standard USB-C port. All three can be used for charging. Dell has also binned the SD card slot, another victim of the size-wars. It’s been replaced by a less-useful microSD card slot. We reckon Dell should have ditched it entirely and provided a SD card dongle in the box. The 3.5mm headphone jack remains. Again there is a selection of memory options up to 16GB (up to 2133MHz), and up to 1TB of PCIe SSD storage. There are also 802.11ac 2×2 Wi-Fi and Bluetooth 4.1 as before. Th new XPS 13 is available globally today on Dell.com and John Lewis, starting at £1,269/$1,676. The Rose Gold edition is available from February, starting at a rather steep £1,669/$2,203. The current XPS 13 starts at £1,149/$1,517 (Core i5) and £1,249/$1,649 (Core i7), so there is a bit of a price jump. Expect the 9360 model to get discounted in light of the arrival of the new model, however. Coincidentally, there’s also a new $100 Active Pen (like the Google Pixelbook Pen) to go alongside all Dell 2-in-1 Windows notebooks that supports Windows Ink. It’s available in April in the US and June elsewhere. 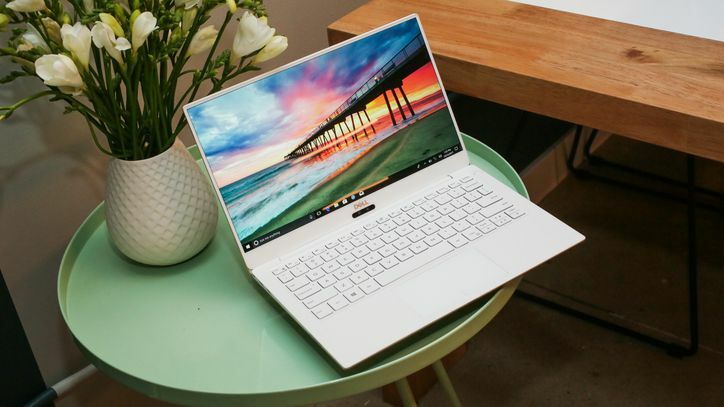 This year’s XPS 13 isn’t massively different from the previous model but does feature some notable design improvements, including the new white finish. The move to complete USB-C is welcome, while we can’t wait to see the new display working properly in the flesh, especially since the existing one is pretty hot. The only negative of the white and rose gold model is the price, which is significantly more expensive than the standard variant. But, regardless, the XPS 13 lays the ultraportable gauntlet down for upcoming 2018 rivals.